Every once in a while, I have to convince a business coaching client to accept credit cards as a form of payment. They are usually against it because of all the fees involved, but the reality is their clients want to pay with credit cards. Sometimes business owners have a hard time understanding this, perhaps because they have a friend or two who prefer to pay for things with check or cash. However, the odds are stacked against them because there are several reasons as to why their clients would rather pay with credit cards. Here are just a few of them. 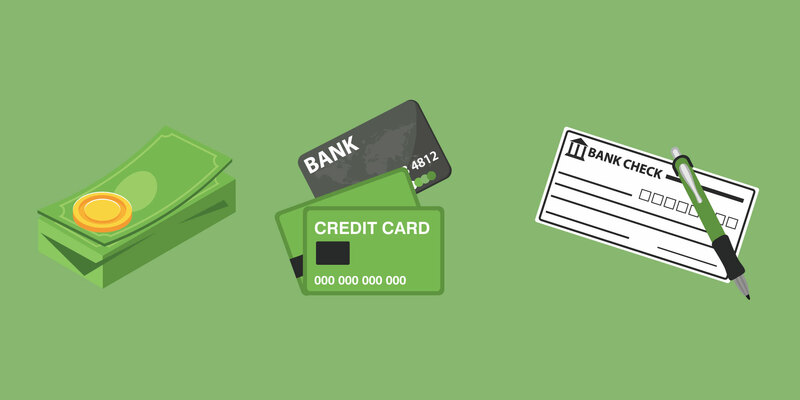 One of the main reasons your clients may want to pay with credit cards is because of how easy it is. There’s no need to fumble around with cash and they don’t need to go through the trouble of writing and mailing a check. While cash and checks aren’t that hard, the reality is people prefer convenience. The easier you make it for them to pay you, the more likely they will do it. They can track their expenses. Proponents of paying with credit cards say that one of the reasons they prefer to do this is because they can keep better track of their expenses. Let’s be real. It’s hard to keep track of cash. You know this as a business owner and the same is true for people who are paying you. Nothing beats being able to see real time transactions on your statement that show you exactly how much you paid, when you paid it, and what you paid for. If you’re dealing with B2B payments, chances are the business may prefer to pay with credit cards as well. This may make it easier for them to keep business and personal finances separate. It may also make their accounting easier. Credit card companies are in the midst of a rewards war. You don’t have to look far to see companies trying to beat each other in terms of the rewards they are offering in an effort to get customers. Cash back: When they receive a percentage of their purchases in return. Usually this is cash or a statement credit. A couple of credit cards even give consumers the option to deposit the cash back into an investment account. Travel Rewards: Depending on the credit card, consumers can accumulate points they can later exchange for air travel and hotels. Discounts at retailers: If consumers happen to shop at a particular retailer often or make major purchases from a specific retailer, they may want to take advantage of the retailer credit card to accumulate points. Gas rebate credit cards: There are credit cards out there that help you save money on gas and auto repairs. Gas is a necessity, so people find ways to save money on it. These are just a few of the perks that come with using credit cards. This doesn’t even include things like extended warranty and better fraud protection. With advantages like this, it’s no wonder you may have clients that will prefer to pay with credit cards.